Author of The Circle, Cindy Cipriano, was kind enough to take the time to answer some questions about being an author for my blog readers. I am happy to share my interview with her. What inspired you to write your debut novel, The Circle? Once when I was in "time out," I daydreamed about lifting a tile in the floor and wondered what I'd find below it. I imagined a wise man hunched over a desk working by candle light. This person became Uilleam and is really where the idea for the series began. If you had to choose one character in your book you are most like, who would it be and why? I'm really not like any of the characters in The Circle. They are much, much more interesting :) I will say my favorite character is Donnelly. He's just so fearless. Who are some of your favorite children's books and how have they inspired you to be a writer? C.S. Lewis is probably my all-time favorite children's author. I was inspired by his brilliant use of magical realism, in that it's not "in your face," but thoughtful and skillfully placed throughout his novels. What are some of the biggest challenges you face as a writer? I love the actual writing part, sitting at my computer, completely immersed in my story. Have you ever experienced "writer's block" and how do you get past that? I have experienced "writer's block," and the best way for me to get past it is just to sit down and start writing. The Circle is a fantasy novel. Is that your favorite genre to read as well? What other genres do you love? I love anything that is middle grade/young adult fantasy. Can you tell us a little bit about your next book that we might not know from reading the first? What advice would you give to somebody thinking about becoming a writer? 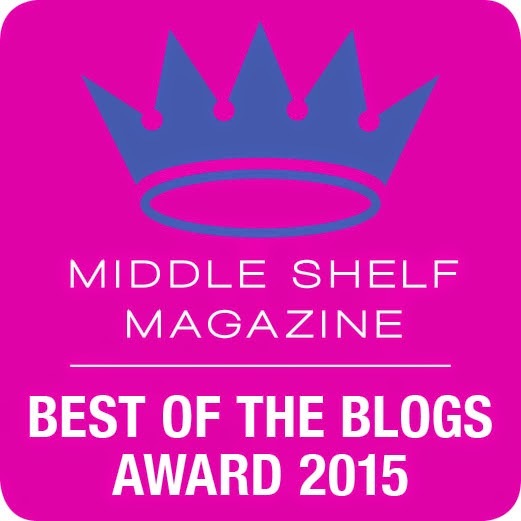 Join a good critique group, now. I would have saved so much time had I joined one earlier. Once your book was published, was there every anything you wished you could go back and change? Why or why not? 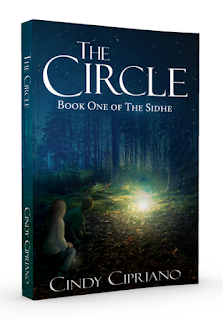 Cindy Cipriano's middle grade fantasy, The Circle, is available through Amazon or other local retailers. No matter what I do or say, I have one son who won't crack a book. It's almost blasphemous at our house to not read since both of his parents and two siblings are avid readers. We have tried everything from bribery to threats all to no avail. That boy will not budge. Even with our book cases looking like a middle school boy's dream library, we still can't get our son to read. I admit, I even paid my son $10.00 just to let me read Charlie Joe Jackson's Guide to Not Reading to him. The funny thing wasn't the money I had to pay, but the fact he actually admitted he liked the book after we finished. I have often felt frustrated that I couldn't get my son to read until one day it dawned on me that he reads all of the time, just not all of the fabulous books I thought he would like. On this day I found my son looking through free book vectors, while trying to find artwork for a school project. He would find a picture he liked then tie it in with his research. He actually reads a lot more on the internet than I give him credit for. I have found some other tricks that work (at least most of the time). When your son wants to buy something, have him read all of the product reviews first and report which is the best before you let him buy it. My son actually does this. Mention stories in the newspaper or internet and don't tell your son the final outcome. Make him discover it for himself. I always tell him enough of the story to pique his interest and refer him to our local news site or newspaper to discover the ending. Sunday comics are great, especially if you ask your son which he thought was the funniest. Don't underestimate toy catalogs. My son has spent hours reading about remote control cars. Have your son look up how to fix something. My son has read a ton of how to's and can fix anything from bike tires and remote control cars to air soft guns. Find what interests your son and pull up articles on the internet about it. No matter how old your son is, try to read to them. Listening is as important as reading and will still help build vocabulary. Forward funny emails to your child's inbox. My boys read those all of the time. Forward information on family trip planning. It's amazing what your son will read about the place they know they will visit. Trip brochures are also a great thing to get your son reading while getting him excited for vacation. collector guns and has researched all different kinds of guns on the internet. He reads about them all of the time. He asked his great-grandfather what gun he carried in World War II and knew all about that particular firearm from his research. I knew a boy who read baseball stats regularly and could give a rundown on most of the players in professional baseball. Give your child credit where credit is due. Comic books, catalogs, and the internet can be a reading paradise if you let them. **FTC Disclosure: This post contains affiliate links. In 1946, a young Holocaust survivor arrives to a New York yeshiva. The orphan, Daniel, is one of twenty boys from Poland who lost their parents in concentration camps. Daniel brings with him the only possession he owns, a small box he never lets out of his sight. The narrator, a boy with a stuttering problem named Aaron, befriends Daniel. Together they face the taunts of the other schoolboys as they tease Aaron about his speech. At the same time, the other boys try to cajole Daniel into revealing what is inside his precious box. A haunting secret lies within the box. A secret left me shocked and horrified while at the same time leaving me in awe at the healing power of friendship and love. In a sea of Holocaust books, Greenhorn stands apart as a simple but powerful story of the horrors of inhumanity towards our fellow man. Olswanger's masterfully written short, illustrated middle grade novel lends itself to a more mature audience or a parent-child read aloud and is sure to spark a somber discussion. The fact that Greenhorn is based on a true story, deepens the powerful impact.